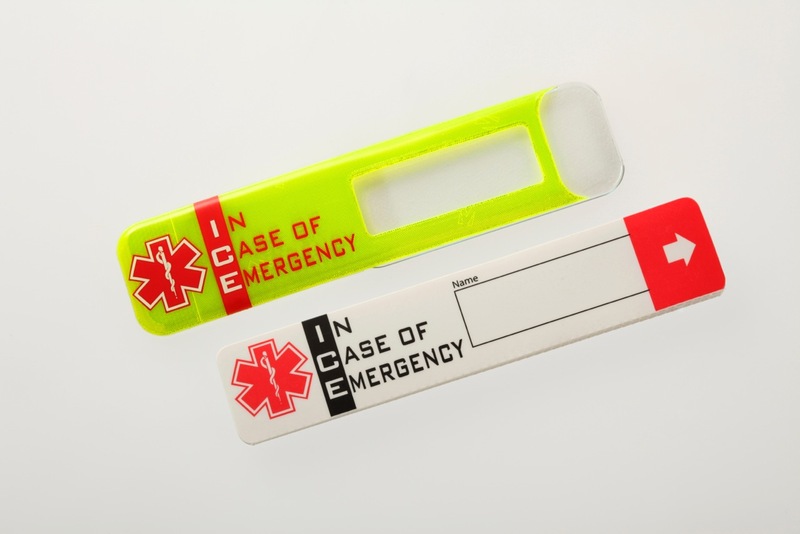 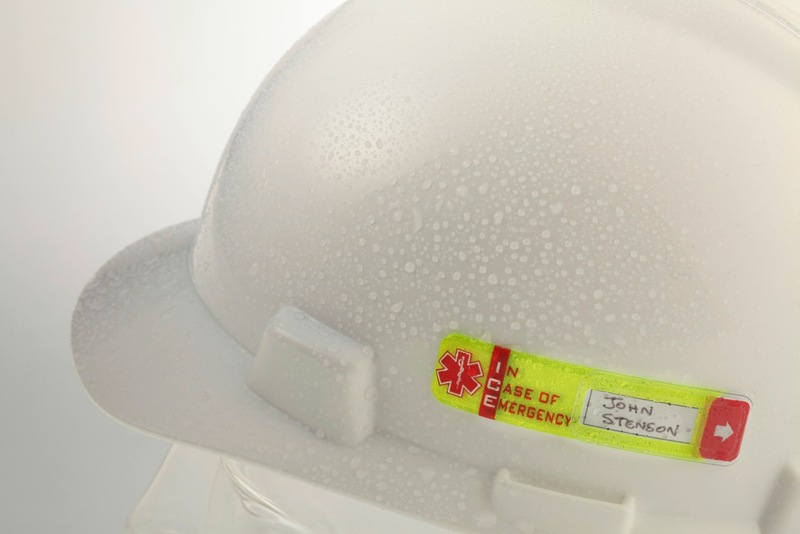 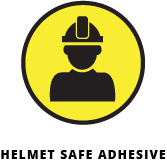 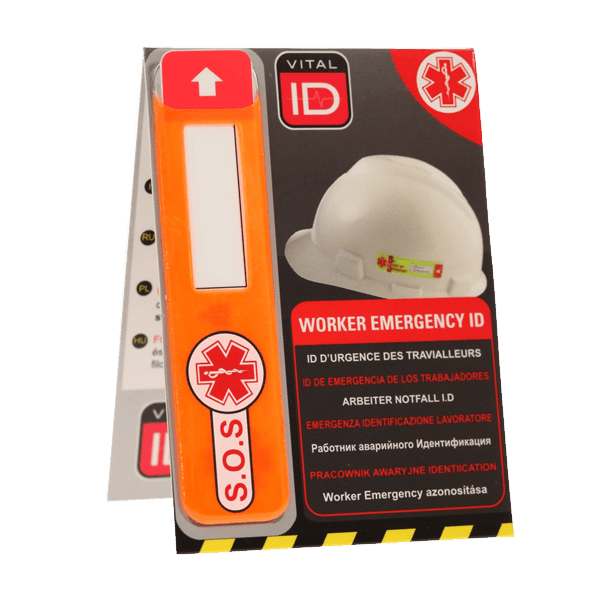 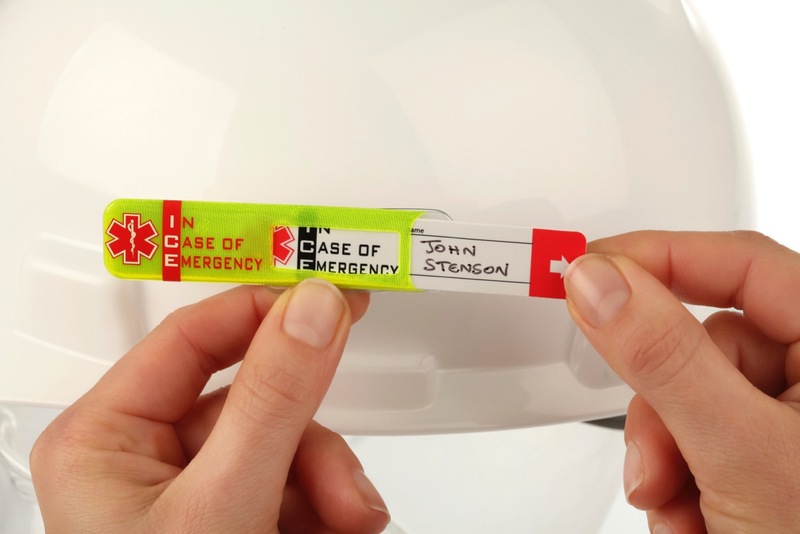 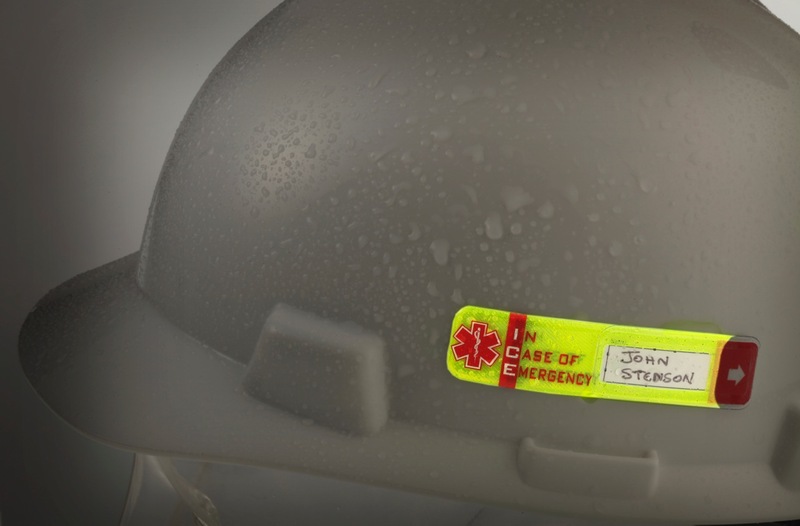 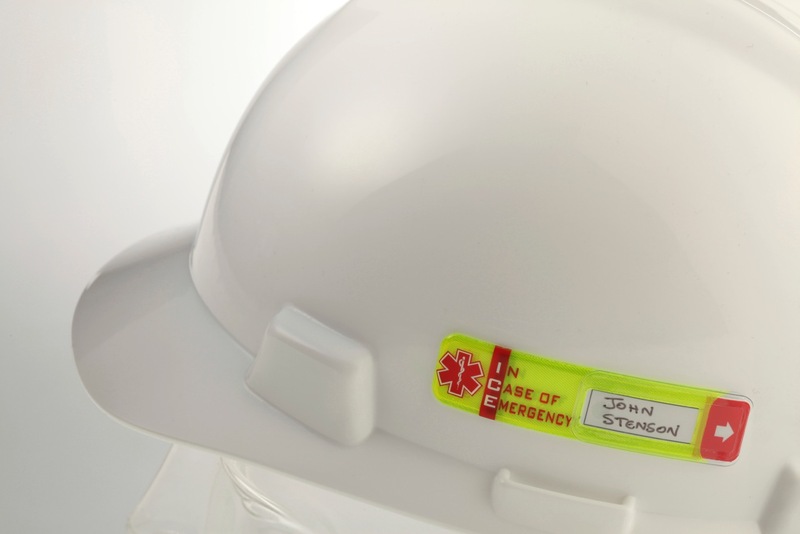 Like our WSID-01, the WSID-02 Worker ID is easily fitted to the exterior of each worker’s hard hat and provides first responders with the wearers vital lifesaving information in the event they are involved in an accident or medical emergency. 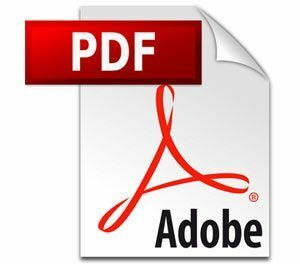 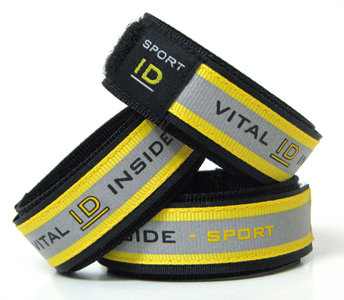 Larger than the WSID-01 and as a result can store more information. 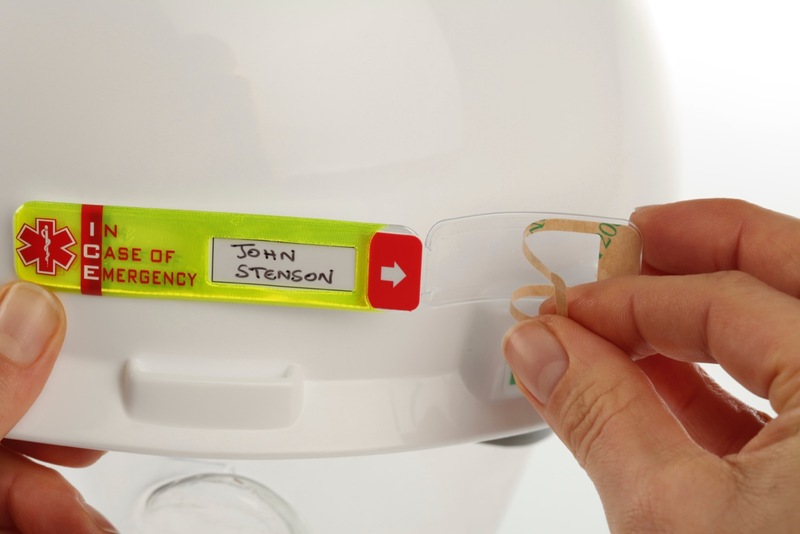 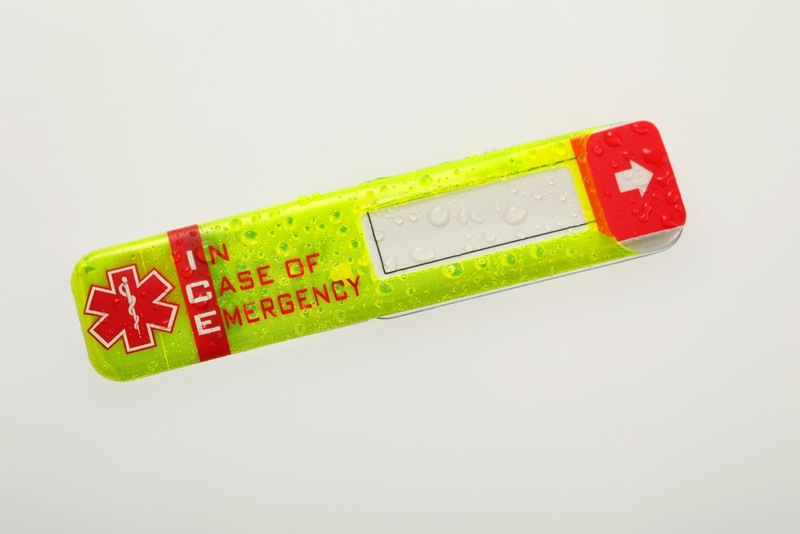 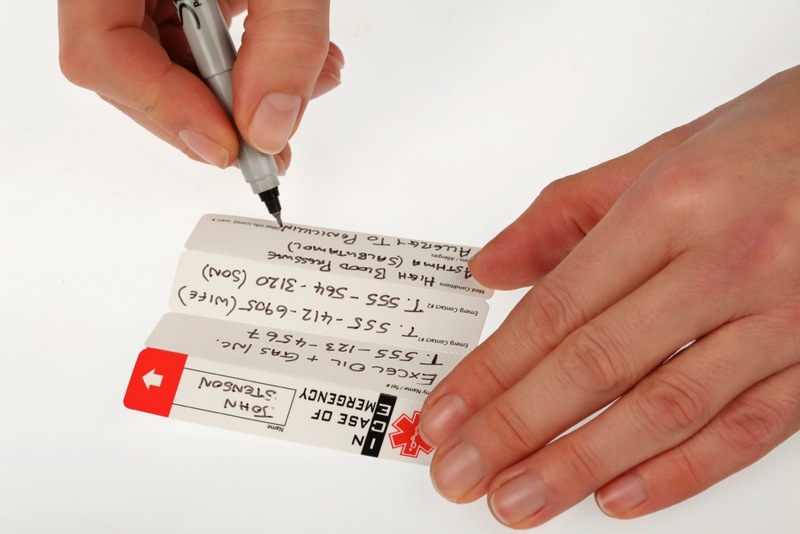 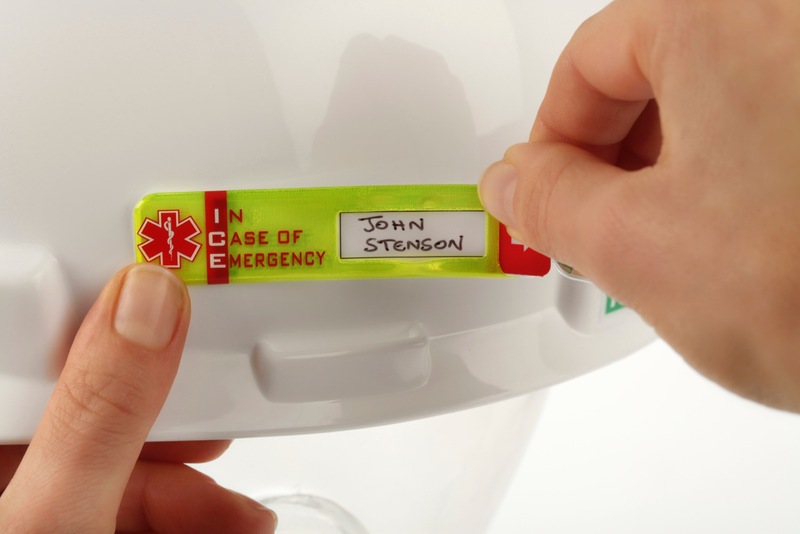 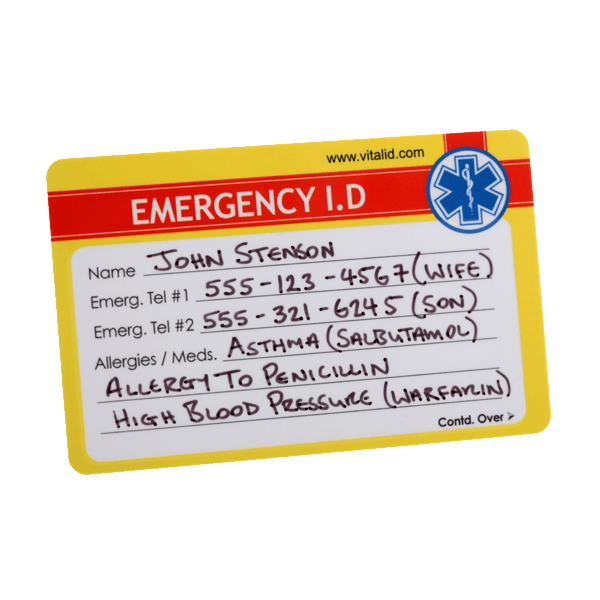 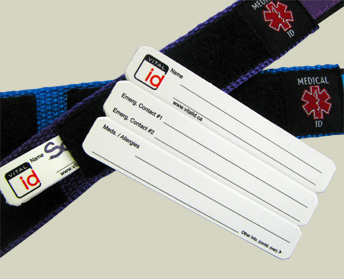 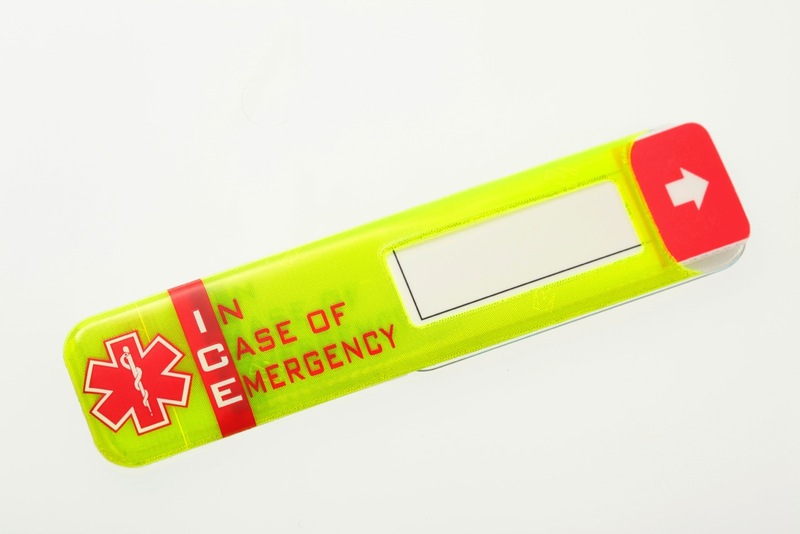 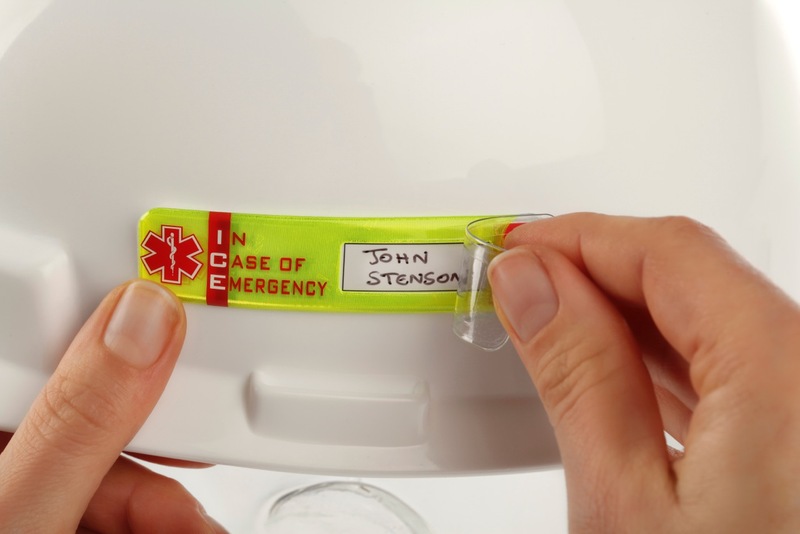 Features a data window that can display the wearers’ name or site induction details without needing to open the ID sleeve. 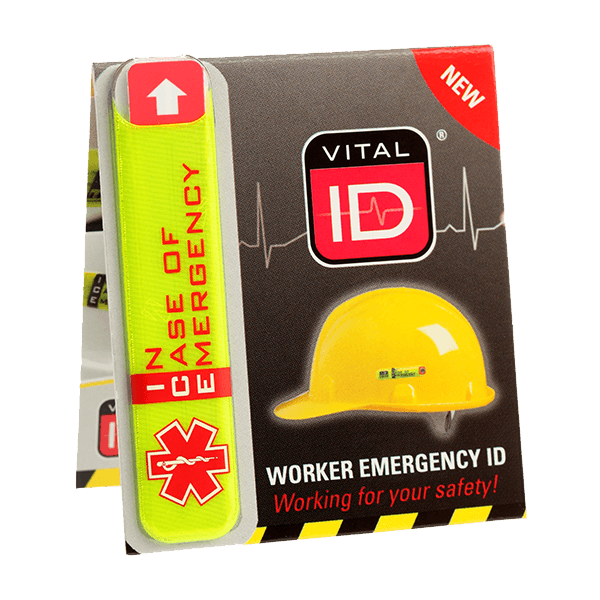 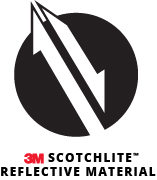 Worker ID (WSID-02) is versatile and can also be fitted to clothing and other work equipment such as a harness, reflective vest and more. 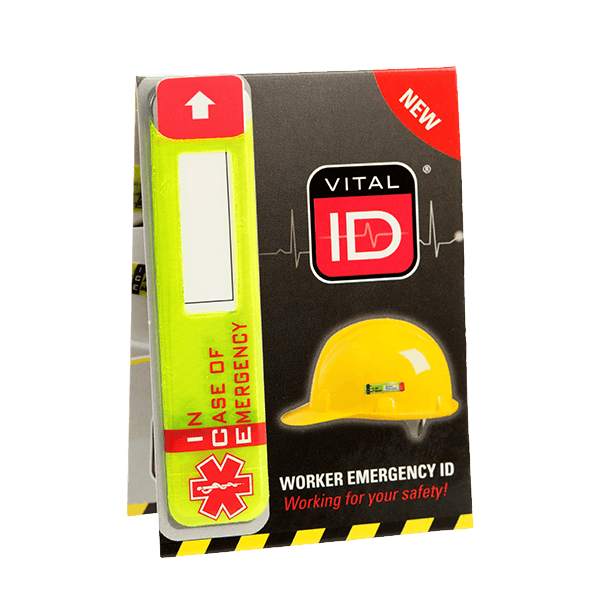 Increased storage area on the waterproof inserted ID card is greater than Worker ID WSID-01 allowing 2 times the amount of information to be stored.